With its stunning scenery and natural environments, fascinating history and enduring Aboriginal and Islander cultures, exploring the vast wilderness of Cape York Peninsula is a life enhancing experience that has visitors returning over & over again. This vast remote region is one of great beauty, with a landscape of contrasts and surprises. It is a nature lover’s paradise with over 3000 plant species and 321 bird species inhabiting over 14 million hectares, and the rock art galleries of the Cape have been rated amongst the Top 10 most significant art sites in the world. Cape York is one of Australia's last great wilderness areas and was voted number 13 on the list of "Things in Australia You Must Do Before You Die". Aboriginal history on the Cape dates back tens of thousands of years and, at the time of European invasion, the region consisted of 43 tribal nations, each with its own language and traditional practices. Although many of the languages have now been lost, Traditional Owners still exist for the whole of the Cape, and an estimated ten languages and possibly hundreds of dialects, continue to be spoken. The experiences of Cape York offer something for everyone. Learn some of the secrets of this timeless country with fabulous Indigenous experiences, and rock art galleries. Experience fishing at it’s best in the north's remote rivers or the Great Barrier Reef, and soak up the beauty of a marine wonderland with one day or extended charters. Feel the history with guided tours to WW2 sites around Bamaga and on Thursday Island, and enjoy incredible bird watching in stunning environments. Savour the remote wilderness at secluded camping sites on deserted beaches and in unspoiled National Parks, and help the turtle conservation project at Mapoon. And of course everyone's ultimate goal - feel the satisfaction of living your dream and standing at the Tip of Australia. It's time to escape from the everyday, get back to nature, reconnect with the ancient rhythms of the land, and become part of the wide open spaces that make Cape York the experience of a lifetime. Historic Cooktown provides the perfect base for your adventure. Stay a few days to enjoy some of what this beautiful town has to offer - stock up on supplies for your trip, or wind down in comfort on the return journey. Stop at the small rural towns of Laura and Coen and enjoy authentic Cape hospitality at the Roadhouses along the Peninsula Development Road. Beyond the Archer River Roadhouse a rough but interesting track takes you out to the East coast of Cape York. Tranquil Portland Roads is a great base for birdwatching in Iron Range National Park and nearby Chili Beach is one of the Cape's fabled destinations with a stunningly located campground. The Aboriginal community at Lockhart River has won international acclaim for their vibrant artwork. The beautiful drive out to the coast passes through the changing landscapes of Iron Range National Park and crosses the Wenlock and Pascoe Rivers. 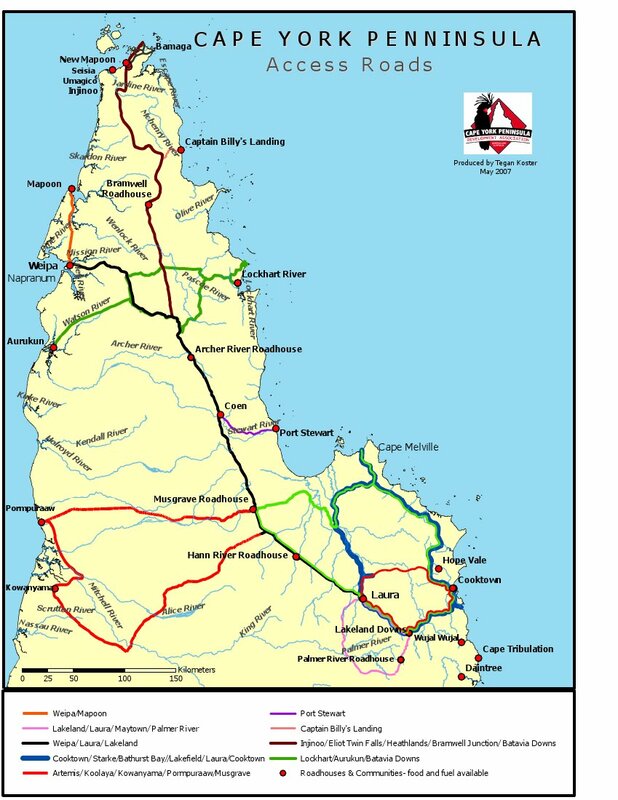 The Peninsula Development Road continues at the Telegraph Road junction out to The "Western Cape" which encompasses the Aboriginal Communities of Kowanyama, Aurukun, Pormpuraaw, Mapoon, Napranum and the well known fishing destination and mining township of Weipa. 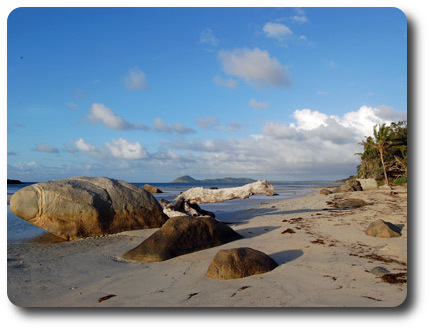 The final section of your Trip to The Tip brings you to the Northern Peninsula Area (NPA) which is home to 5 communities. Bamaga and Seisia are largely Islander communities, while Injinoo, Umagico and New Mapoon were established for Aboriginal people in the 1960s. The NPA area has good shops, camping places and accommodation at Loyalty Beach, Punsand Bay and Seisia. The daily ferry to Thursday Island departs from Seisia. Take the classic 4WD overland adventure, self drive and take your time to explore this ancient land travelling over rugged roads and river crossings. Or sail along the Great Barrier Reef and admire the stunning coastline to Seisa or take a scenic flight over the ever changing landscape that will take your breath away. 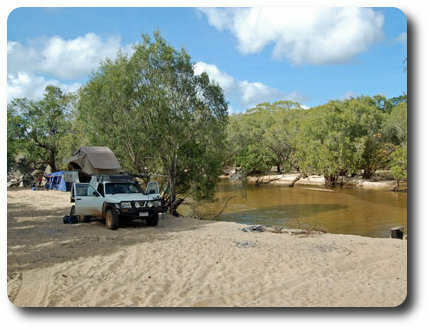 Taste the adventure on the Old Telegraph Track on a self-drive 4WD journey to the northern most Tip of mainland Australia, or join a small group 4WD adventure tour. Discover the history of the Old Telegraph Track at Moreton Telegraph Station. Take scenic flights from Cooktown, Port Douglas and Cairns to Bamaga, Weipa or Horn Island.